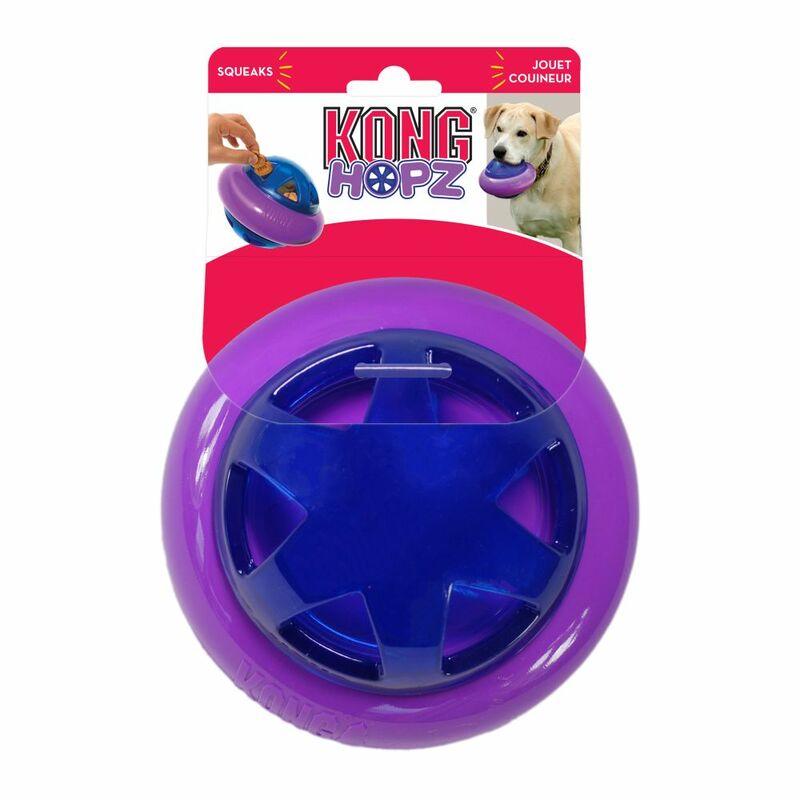 The KONG Hopz is a rewarding treat dispenser that satisfies natural foraging instincts for on-going mental enrichment. 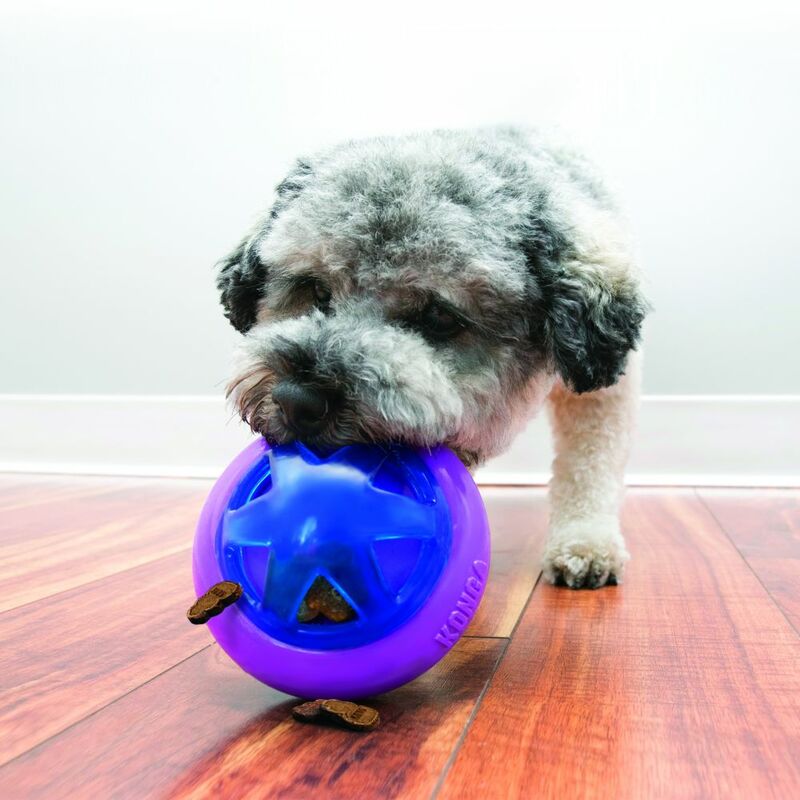 Its orbital shape creates an unpredictable movement sparking engagement as dogs figure out this clever puzzle toy. 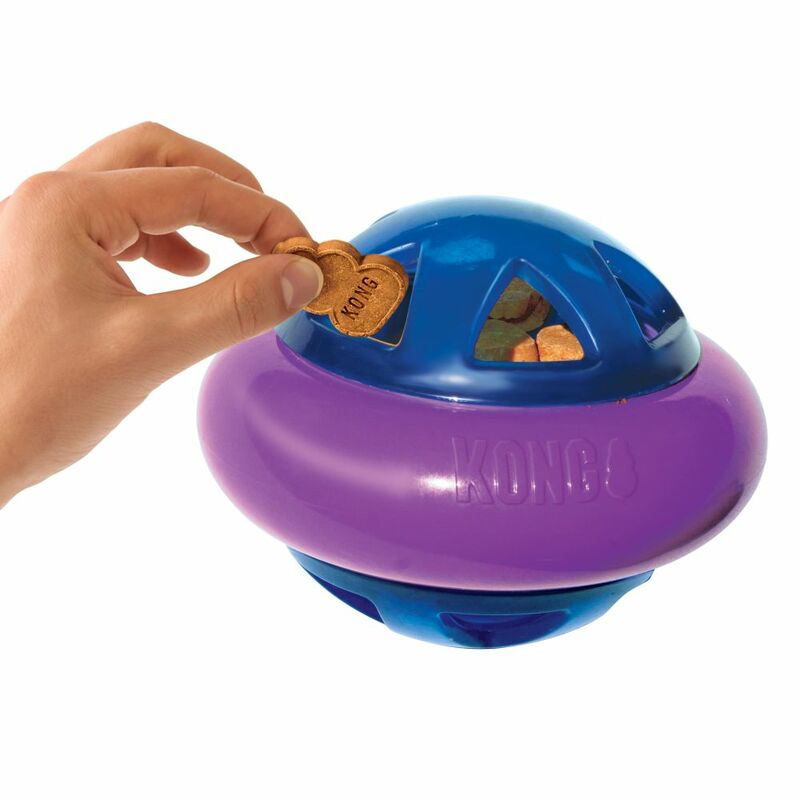 The subtle rocking motion combines with a squeaker that keeps a dog’s interest piqued and extends play time.